Anyway, in choosing our latest challenge I’d like to think I was quite clever, at least to begin with. I’m no maths genius, but when skateboarding opus Tony Hawk’s Pro Skater 3 was unleashed on the previously-unfulfilled gnarly masses in 2001, Shane probably wasn’t even born. Now I think of it, that might not be true. Regardless, I shrewdly picked a title that I was mind-bogglingly good at as a kid. Less shrewdly however, the game I used to routinely score 2,500,000 point runs on as kid was in fact the PSone version. A minor blip you would think, except the PS2 edition is lots harder, imagination is required to score big now and there’s the ever-present risk of losing it all through overbalancing on manuals and grinds. Gah! This was not in the script. 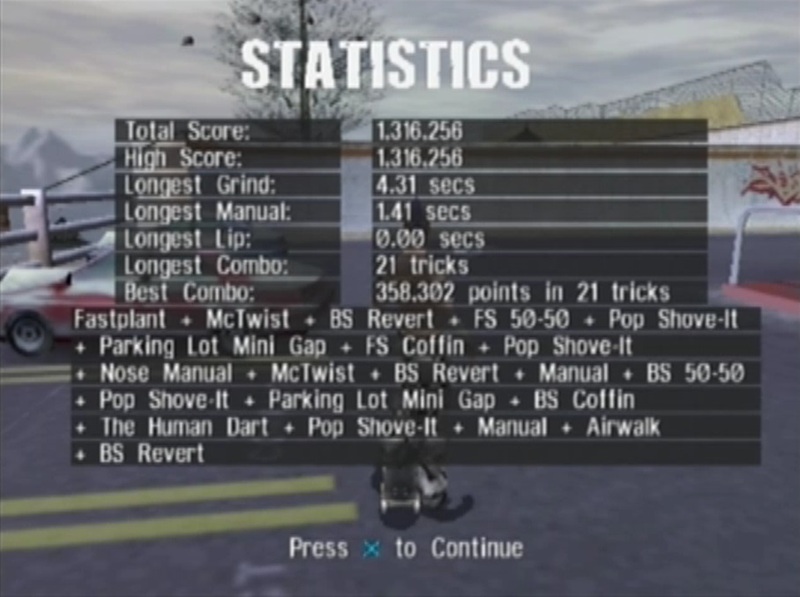 Even worse, Shane knows his Tony Hawk, judging by some vicious-looking scoring vids he’s crafted for Project 8. Yikes! So here it is: a one-on-one duel between the two victors of our opening challenges. The young, dashing and skilled yoof correspondent would face his Big Boss, his Chairman Prescott, his J. Jonah Jameson. My opponent would be experienced and ready to win, but also a bit rusty with the old skateboard. My reflexes have been sharpened in the run up to our duel, while Tom’s time away from this series could number in years. But having his reflexes sharpened by the 16-bit stuff he’s really into could prove to be my downfall. And being told the duel would be entirely covered in the mystique – and not knowing how well my rival was doing until the end – certainly makes it all rather interesting. I hope to come out on top, but at the same time, just playing this kickass game will be joy enough. The victory would be a pretty large cherry on top, of course. This battle will, essentially, determine who will be leading the Pixel Duel scene for now, though I know we shall be having many more in the future. 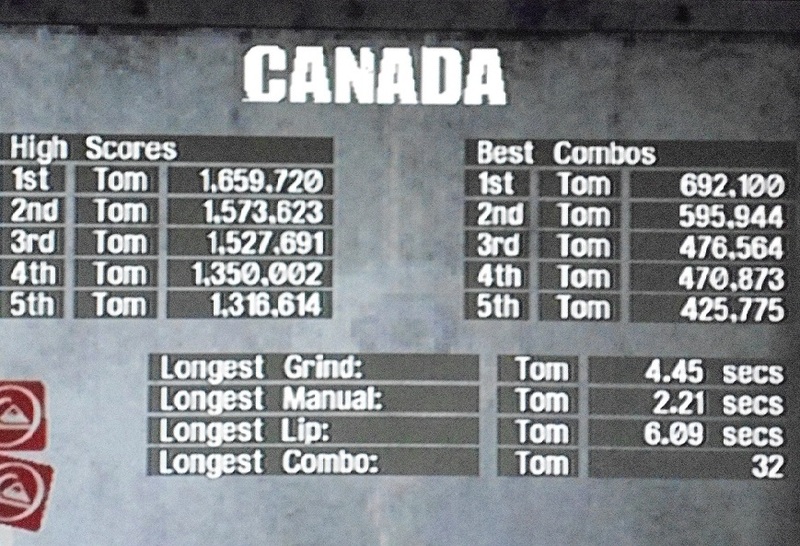 The challenge is this: to set as high a Single Session run score on the Canada level as possible. With runs lasting two minutes, big combos are a necessity, finding lucrative gaps and being willing to risk those big numbers just to add a couple more multipliers to your combo haul. For the first time in the series, the Challenge will be run concurrently, so rather than setting a specific score to beat, both myself and Shane have the 36 hour period between midday of Saturday 30th March and midnight of Sunday 31st March to set as good a score as possible. The nifty part is, we’ll have no idea as to how well (or badly) the other is doing in the meantime. Totally rad man, etc! Rules: Any skater is permitted with the use of any board. Custom trick-sets and any combination of specials are also allowed. The run must be completed in Single Session mode and on the Canada course. 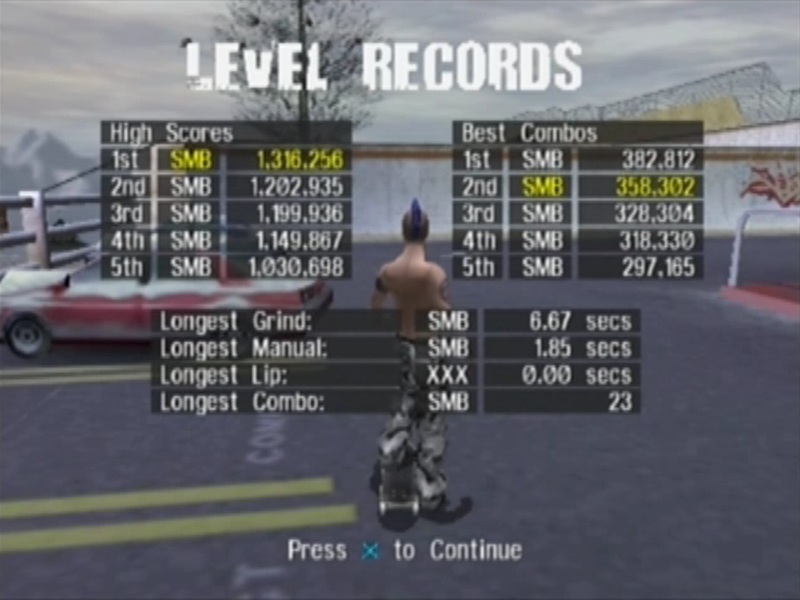 No cheats are accepted, except for the use of PUMPMEUP which, if required, guarantees both players have a skater of maximum (and therefore equal) stats/attributes for the challenge. So, outside of a few quick jam sessions in-between other things, I played two main sessions totalling five hours altogether. The mid-sessions mostly served to keep my memory and reflexes fresh beforehand, and rarely resulted in any big-scoring runs. These two big sessions took place on Saturday and in the two hour run-up to the deadline on Sunday night. Perhaps the latter was a mistake, as the added pressure of time meant performing a high score run would be much tougher than the session before, but nevertheless I proceeded. And surprisingly, my best score would be achieved in the second session. The first session was used mainly to establish a route, the moves I’d be using to boost my score, and possible gaps which could add more multipliers. I figured it would be best to stay out of the forest area, as it seemed more difficult to pull off combos in that area than the car park and skate bowl area. I had assigned a mix of specials, which leaned more towards grinds and manuals. I noticed much of the area had good grind spots, so figured this would be smart – we all know specials lose their point value the more you use them. I did throw in an extra grab special just in case, though. But with the route set, the session began! It was a mixed bag for sure, as I frustratingly tried to come to grips with both the combo and maintaining balance. Perhaps softened by the slow-mo feature in Project 8, bails seemed all too common. But eventually I got some kind of mojo, and managed to nail my first score which exceeded a million. Things seemed dandy for now. It became clear to me early on that the first 20-30 seconds of the run would be make-or-break. With tricks worth their most prior to ‘duplicate’ uses, I was able to utilise some grind specials I’d allotted, before reaching the bottom section of the level and using the 1-2-3-4 vert special with as many spins as I dared in order to let the points balloon. From there on, it’s a case of transitioning between two sets of rails and a couple of vert ramps; one at the top of a gentle hill, and one at the bottom. This proved an ideal method for scoring as it minimised the amount of time on the ground from which your manual/grind balance could be unseated. Nevertheless, they still proved a real uncertainty, and I lost count of the number of 300,000+ point combos I lost as a result of not settling for a combo when it looked to be going pear-shaped. My opening session resulted in some sedate but solid scoring, gradually winding up from around 500,000 and ending up at 1,200,000. 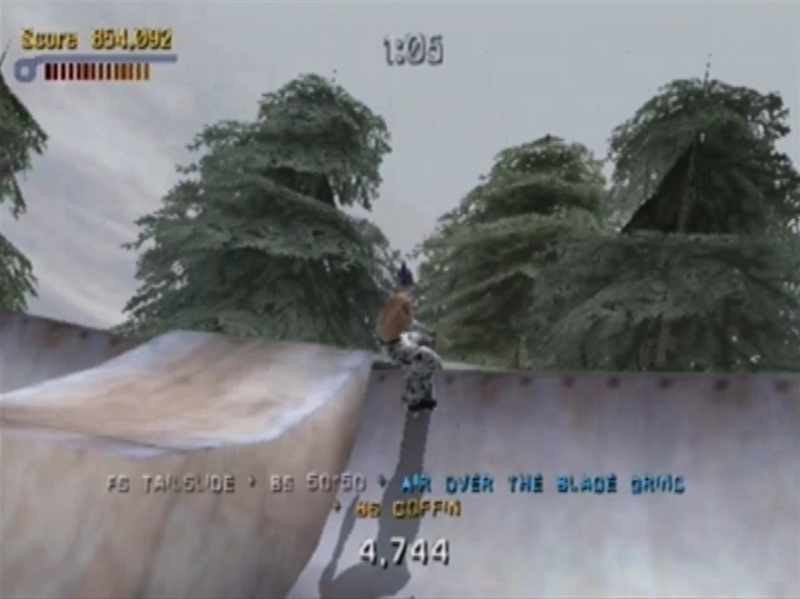 I switched between Tony Hawk, Rune Glifberg and ultimately Eric Koston in order to experiment with a few different ride styles, and added a third grind to my quartet of special moves, as these were increasingly forming the main bulk of my combos. By the end of Saturday night, I managed to elevate my score with a run of consistent combos and minimal falls, ending up a little over 1,650,000. So, I have succumbed to defeat, albeit one which was surprisingly close. Tom didn’t reach that 2 million mark either, so it left me with some comfort to know he hadn’t completely thrashed me. Alas, defeat is defeat and it was a well-earned victory on his part. 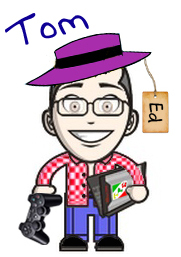 Congrats to Tom on becoming Duel-overlord on top of being, well, Site-overlord, and thanks for a fantastic duel. It was definitely my favourite one yet, thanks to the element of not knowing your opponent’s skill, which made things intense and exciting, plus we all know that the Pro Skater series rules! Perhaps one day, we shall square-off on another game, and this time I’ll be more determined than ever to prove my worth among my Pixel cohorts! Thanks to the new format, I feel it’s been an incredibly tense and exciting Duel to be a part of. 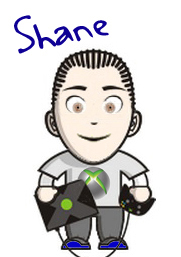 Shane did a superb job, especially considering he’d only had Pro Skater 3 for a matter of days, and had the challenge continued on for another day or two, it could very well have been my greyscale avatar staring glumly back at me. Tony Hawk’s Pro Skater 3 and the marvellous Canada level hold many great memories, and we at The Pixel Empire would love to know your top scores. Let us know in the comments box below! See what happened when Tom and Al raced remote-controlled trucks around an apocalyptic (and consequently rather untidy) course, all in the name of the perfect lap. Retro-fanatic Chris and modern-gamer nut Shane met somewhere in the middle with a Duel on classic acid trip Rez. See who earned the bragging rights.